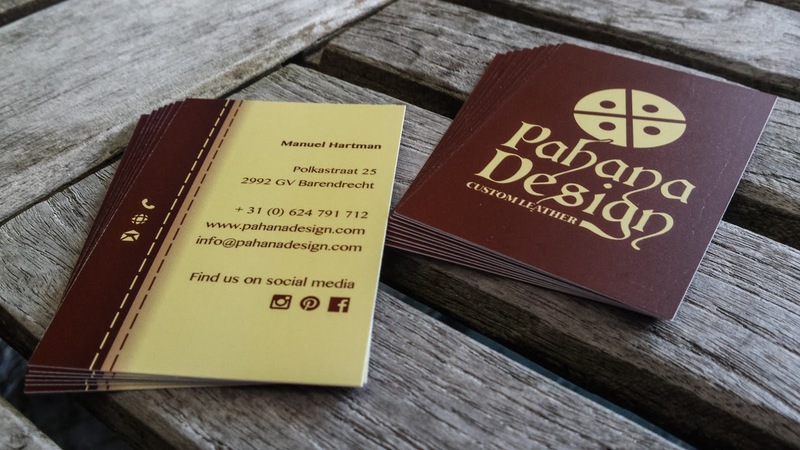 New business card design for Pahana Design, a start up designing leather products. Clean design at the front side, with a logo based on the cardinal direction 'Pahana' symbol. Brown with a little touch of red in the background. On the other side there is a little stitch to be seen at the left of the business card, which is based on the typical leather stitching, often to be seen in car seats. Text is aligned right to keep it readable and simple to navigate through.